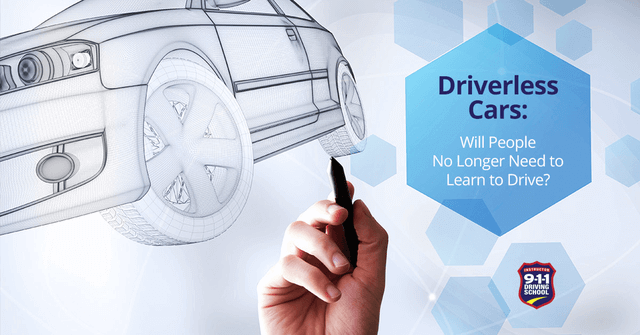 Home > Blog > Uncategorized > Driverless Cars: Will People No Longer Need to Learn to Drive? With more companies announcing their desire to create a self-driving car, it is only a matter of time before they are on the market. With so much excitement and information floating around, it seems hard to see a point investing in driver’s education. Before you skip it, consider the following three points. Henry Ford understood the concept of needing to fill the market with a new product. He helped get cars on the road with his revolutionary business model and found that was the best way to get consumers interested in having one for themselves. People don’t always see a need to change their ways, especially when it comes to transportation. Self-driving cars will likely be a major expense, even more so than buying a vehicle now. Until people see they are safe and worth the money, most will not invest in one. Once people do become interested, there will still be plenty of other cars on the road. To completely ignore getting a driver’s license would be foolish if you intend to get behind the wheel- whether you control it or not- at any time in your life. Getting a driver’s license is smart if you plan to ever rent or drive someone else’s car. Chances of a completely self-driven car hitting the market is unlikely in the next two decades. Instead, these cars will most likely have the option to switch between manual control and self-driving mode. This will require drivers to carry a license and pass driving tests. Many experts believe that these cars will drive off maps provided and information like speed limits, construction areas, and off-roading will need constant updating. Anyone with a GPS system can attest that these maps and technology can only do so much, requiring human override capabilities. Regular vehicles have many regulations, but there aren’t so many for self-driving cars yet because they aren’t on the market. Once they become more available, the government is going to have to do all kinds of tests before giving them the stamp of approval. In this process, officials will likely decide what steps to add or remove for these types of cars, like if a license is required to operate one. While some driving experts do not believe a license will be necessary to operate a self-driving car, others believe the licensing process will just be different. What if something goes wrong or you need to stop the car before you reach your destination? There are just too many unknown factors to make any conclusions yet. There are many things to consider when it comes to laws and regulations for safety and potential uses of the technology. Once the government gets involved, processes rarely happen fast. Don’t put off your driver education courses in hopes that you’ll be sitting in the passenger seat of a self-driving car next year. Instead, get the education required and enjoy your independence.